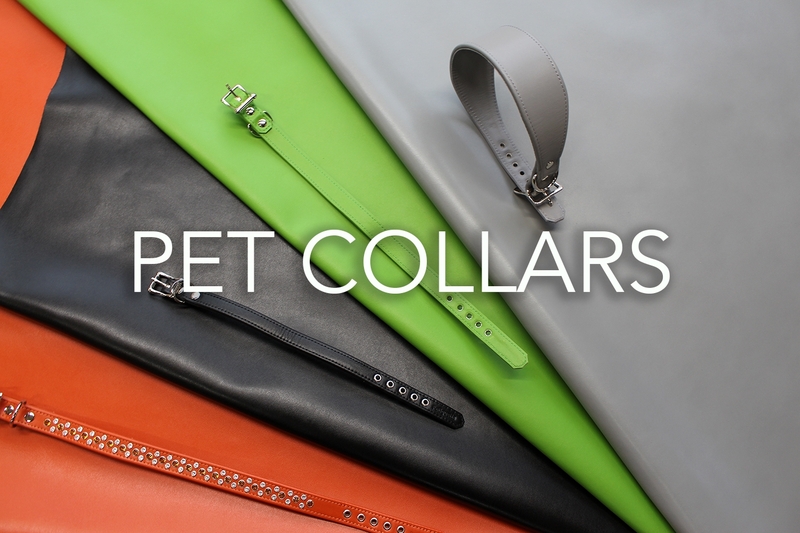 We stock a variety of leathers for pet collars and accessories. Some of our clients use the leather as it comes such as our article Manhattan. Other clients chose to use lighter leather articles such as Motorollo, Babybuck Nappa and Italian Softee which is then stitched to thicker leathers. Furthermore other clients will add decorative beads and jewels to each collar. Other accessories such as leads and ID tags are made from our leathers also.